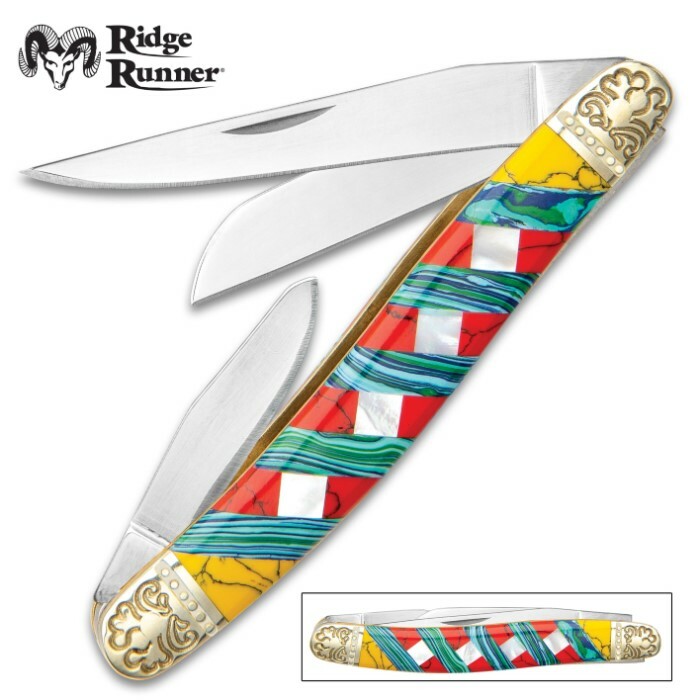 Ridge Runner Moroccan Mosaic Stockman Pocket Knife - 3Cr13 Stainless Steel Blades, Multi-Stone Handle, Nickel Silver Bolsters, Brass Liners | BUDK.com - Knives & Swords At The Lowest Prices! A bright and colorful palette was used to give our Ridge Runner Moroccan Mosaic Stockman Pocket Knife the look and feel of the beautiful mosaic patterns found on walls in Morocco. The multi-colored handle scales are crafted out of an array of stone pieces, which are complemented by decoratively engraved bolsters. The stockman has razor-sharp, polished 3Cr13 stainless steel blades with nail nicks for ease of opening. 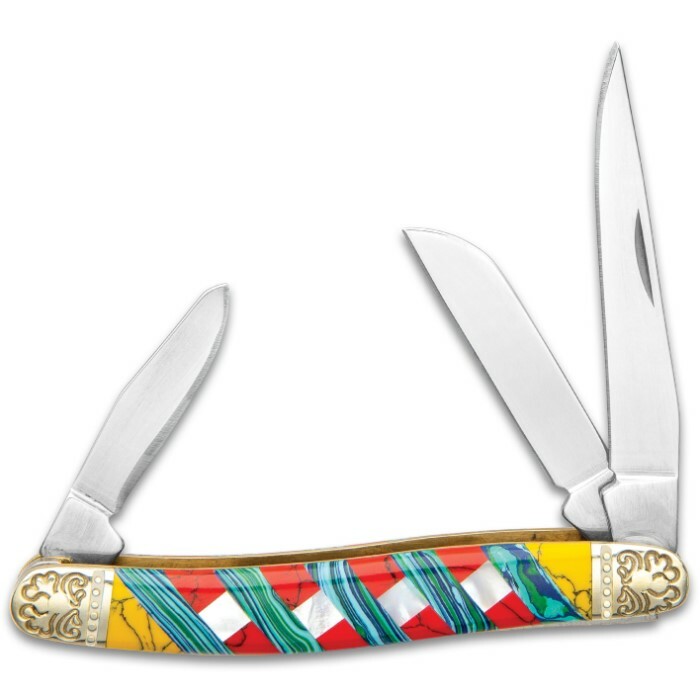 The 3 1/2” closed pocket knife’s bolsters are made of polished nickel silver and the inside liners are made of brass. 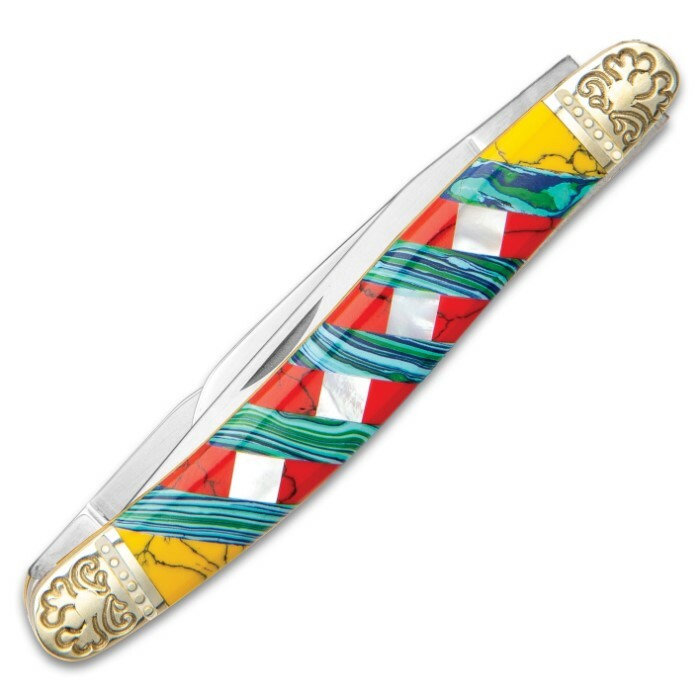 The uniqueness of our Moroccan Mosaic Pocket Knife family gives them a collectible value which is absolutely priceless!